A wonderful way to start getting into the festive spirit is by joining us on our new UK Christmas market break. 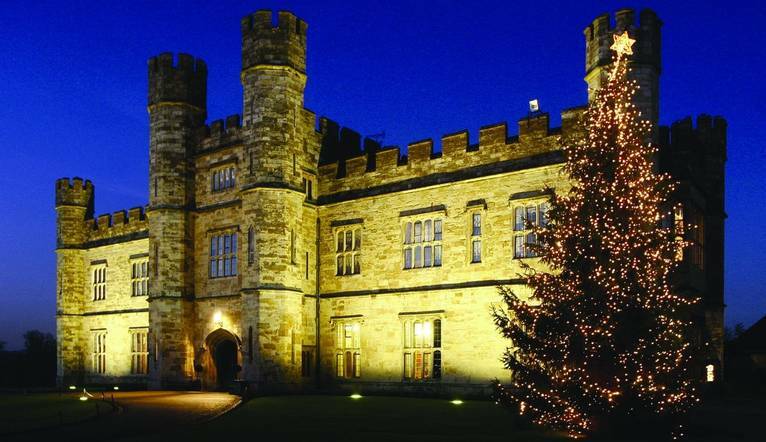 Head to beautiful Leeds Castle, perhaps make a start on some early Christmas shopping and explore a piece of British history! Based in Ashford in Kent, we meet up on Friday evening for a welcome drink before a leisurely dinner. Saturday dawns with a welcoming breakfast in the restaurant before we board the coach to Leeds Castle. Rising majestically from two islands and surrounded by water, Leeds Castle is celebrating its 900th anniversary this year – making it the perfect time to visit and soak up its fascinating history. Stroll through 500 acres of beautiful parkland and gardens and visit the wonderful Christmas market that overlooks the castle throughout the festive period. Shop for seasonal gifts, toys and decorations and treat yourself to some delicious festive food and drink. You can also listen to live music, enjoy a fairground ride on the Victorian carousel or take a trip on the big wheel for a spectacular view of the Castle. Based right on Kent’s doorstep with its myriad of attractions, our hotel offers everything we need for a weekend break. The hotel is located off Junction 9 of the M20 and the nearest station is Ashford International, just 5 minutes away. Complimentary car parking is available. A stylish bar and restaurant as well as a spa and health club with indoor swimming pool, sauna, steam room, Jacuzzi, gym and heated loungers. Our modern bedrooms feature a TV, safe, complimentary toiletries, tea/coffee-making facilities and Wi-Fi.